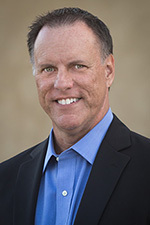 management | Richard M. Hicks Consulting, Inc. In its default configuration, NetMotion Mobility connections are established at the user level. In most cases this level of access is sufficient, but there are some common uses cases that require VPN connectivity before the user logs on. Examples include provisioning a new device to a user who has never logged on before, or to allow support engineers to connect to a remote device without requiring a user to log in first. To support NetMotion Mobility’s “unattended mode” (device tunnel) it will be necessary to deploy a Windows Server 2016 (or 2012R2) Network Policy Server (NPS). In addition, an internal private certification authority (CA) will be required to issue certificates to the NPS server and all NetMotion Mobility client computers. A certificate with the Client Authentication Enhanced Key Usage (EKU) must be provisioned to the local computer certificate store on all NetMotion Mobility clients that require a device tunnel (figure 1). The subject name on the certificate must match the fully qualified domain name of the client computer (figure 2). It is recommended that certificate auto enrollment be used to streamline the provisioning process. Figure 1. 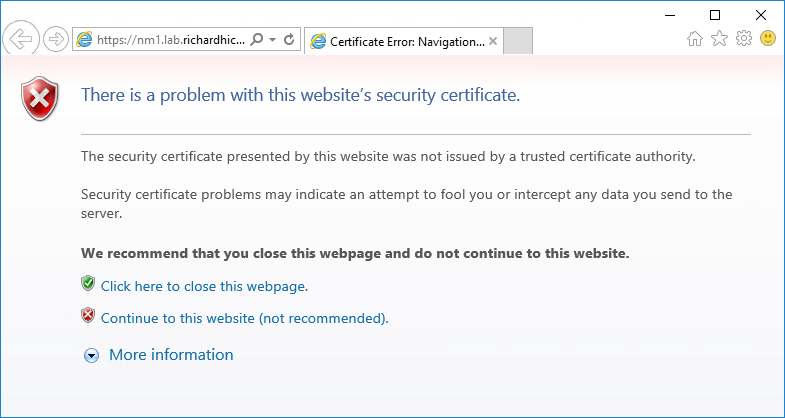 Computer certificate with Client Authentication EKU. Figure 2. 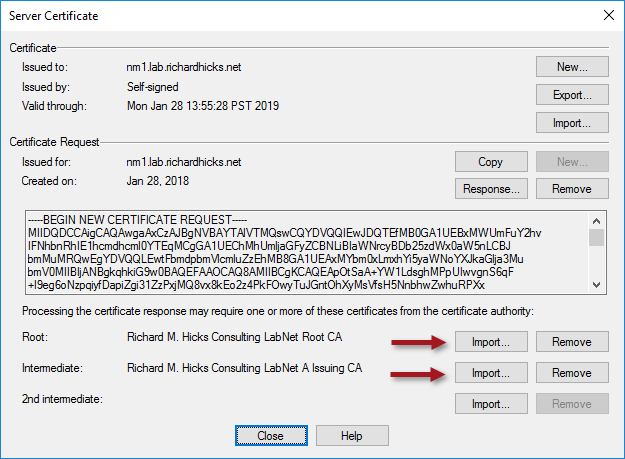 Computer certificate with subject name matching the client computer’s hostname. A certificate with the Server Authentication EKU must be provisioned to the local computer certificate store on the NPS server (figure 3). The subject name on the certificate must match the fully qualified domain name of the NPS server (figure 4). Figure 3. Computer certificate with Server Authentication EKU. Figure 4. Computer certificate with subject name matching the NPS server’s hostname. Next install the NPS server role by running the following PowerShell command. Once complete, open the NPS server management console and perform the following steps. 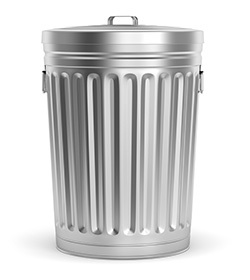 Note: Below is a highly simplified NPS configuration designed for a single use case. It is provided for demonstration purposes only. 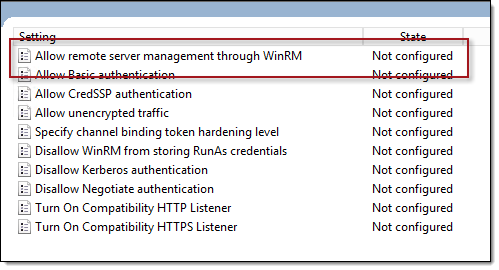 The NPS server may be used by more than one network access server (NAS) so the example policies included below may not work in every deployment. Expand RADIUS Clients and Servers. Right-click RADIUS clients and choose New. Select the option to Enable this RADIUS client. Enter the IP address or hostname of the NetMotion gateway server. Click Verify to validate the hostname or IP address. Select Manual to enter a shared secret, or select Generate to create one automatically. Copy the shared secret as it will be required when configure the NetMotion Mobility gateway server later. Enter a descriptive name for the new policy. 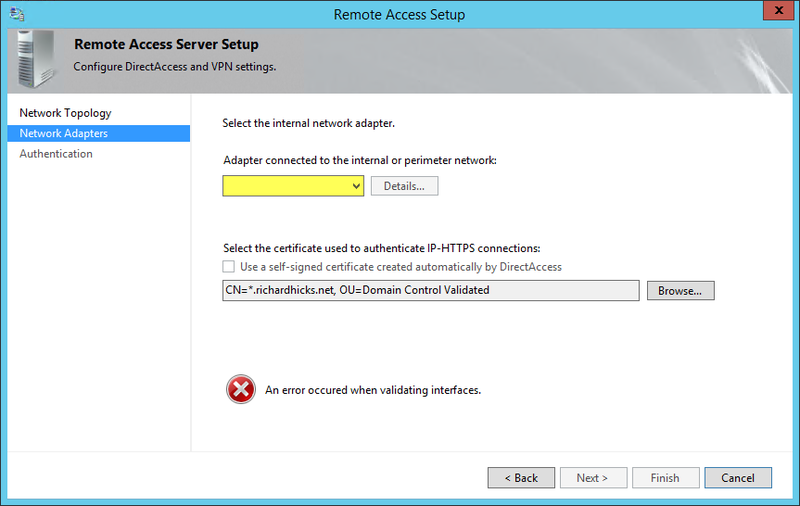 Select Type of network access server and choose Unspecified. 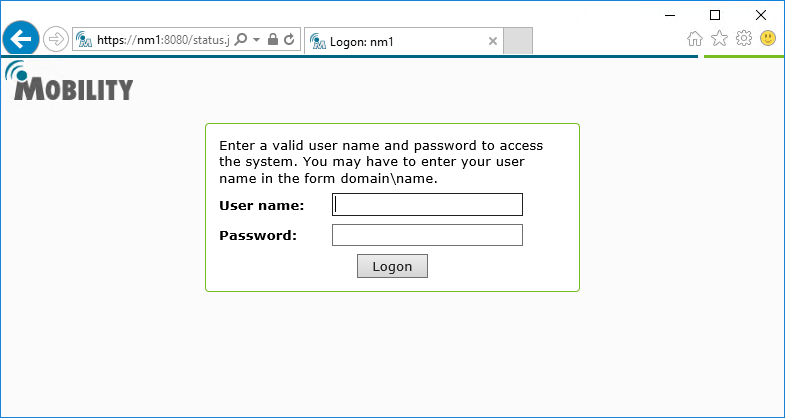 Enter the internal IPv4 address of the NetMotion Mobility gateway server. Choose Microsoft: Protected EAP (PEAP). Select Microsoft: Protected EAP (PEAP). Choose the appropriate certificate in the Certificate issued to drop down list. Select Secure password (EAP-MSCHAP v2). Choose Smart Card or other certificate. Select Smart Card or other certificate. Uncheck all options beneath Less secure authentication methods. Open the NetMotion Mobility management console and perform the following steps. In the drop-down menu click Configure. Enter a descriptive name for the new authentication profile. Select Unattended Mode Authentication Setting Override. From the Authentication mode drop-down box choose Unattended. Select [Profile Name] Authentication Setting Override. Enter the IP address of the NPS server. Enter the port (default is 1812). Select the device group to enable unattended mode for. Select [Device Group Name] Group Settings Override. In the Profile drop-down menu choose the authentication profile created previously. If everything is configured correctly, the NetMotion Mobility client will now indicate that the user and the device have been authenticated. 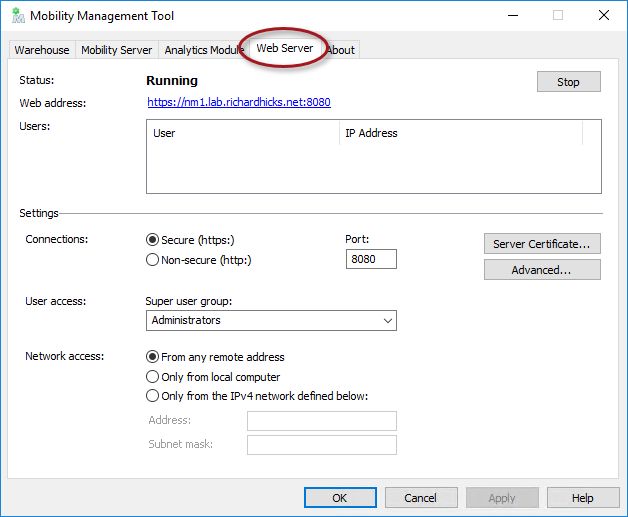 Enabling unattended mode with NetMotion Mobility provides feature parity with DirectAccess machine tunnel and Windows 10 Always On VPN device tunnel. It ensures that domain connectivity is available before the user logs on. This allows users to log on remotely without cached credentials. It also allows administrators to continue working seamlessly on a remote computer after a reboot without having a user present to log on. 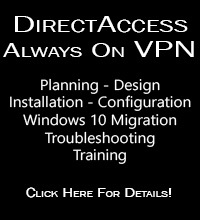 DirectAccess provides seamless and transparent, always on remote network connectivity for managed Windows clients. It is commonly installed in large enterprises to provide better management for field-based assets, and to streamline the remote access experience for end users. Today, DirectAccess is a mature technology that is widely deployed across many verticals, but education is one that is often overlooked. For commercial enterprises, the benefits of DirectAccess are many. 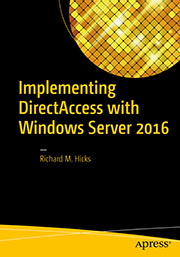 Windows 10 DirectAccess clients have ubiquitous access to on-premises applications and data without requiring user interaction. This streamlined user access improves productivity and reduces helpdesk costs. DirectAccess is always on, allowing client machines to stay in contact with domain controllers and systems management servers, ensuring they are always managed. Many of the same benefits DirectAccess provides for the enterprise are also important in the education sector. Often administrators for schools and colleges have many Windows-based machines that they must both manage and provide secure remote access for. In addition, they struggle with the same issues that enterprises do, such as maintaining configuration and security posture for devices that are predominantly remote. The Windows 10 Education SKU is a supported client operating system for DirectAccess, enabling educational institutions using this license to implement a remote access solution with DirectAccess using Windows Server 2012 R2 or Windows Server 2016. Implementing a DirectAccess remote access solution can result in significant cost savings, as DirectAccess requires no investments in proprietary hardware and has no associated per-user licensing. Microsoft is making a concerted effort to address the education sector with new and compelling features to be included in the Windows 10 Anniversary Update, released earlier this week. For example, they have introduced apps that simplify the setup of school PCs. App discovery and purchasing are easier, and stylus support is improved. Native integration with Office 365 is another important factor. There are also a number of significant new security features that will make migrating to Windows 10 a worthy investment. If you are an administrator working for any educational institution and are struggling with maintaining and supporting your field-based Windows devices, consider a DirectAccess remote access solution today. With DirectAccess implemented, users will be more productive and remote machines better managed. DirectAccess can also be deployed using existing infrastructure, and it supports flexible network deployment along with many scalability features that will ensure the highest levels of availability.